The Skyline Hotel & Waterpark keeps guests in the center of it all! As part of the 20-acre Falls Avenue Resort with direct indoor connections to the Fallsview Indoor Waterpark. 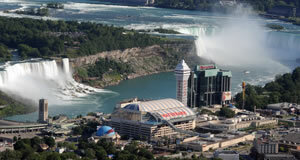 The Skyline is in the heart of Niagara’s premier tourist district directly across from the Falls. The centre of it all! The Skyline Hotel & Waterpark is directly connected to Falls Avenue Resort through a climate controlled skywalk. Falls Avenue is the location in Niagara Falls for attractions including the Fallsview Indoor Waterpark, shopping and adventure. 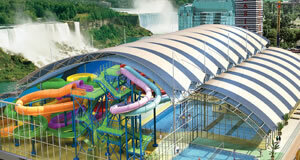 The Skyline Hotel & Waterpark keeps guests within splashing range of the Fallsview Indoor Waterpark! Directly connected to the 3 acre Fallsview Indoor Waterpark through a climate controlled skywalk allows visitors to walk to the waterpark in flip flops a year round. The waterpark features: 16 thrilling slides some up to six stories high, a giant full size wave pool, two over-sized adult only Jacuzzis, the “Beach House” Mammoth Aqua Play Area, Tiny Tots Splash Park, an outdoor sun deck and activity pool, Planet Hollywood Beach Club food court and much more. Adventure City is an indoor amusement attraction that your entire family will enjoy year round! Located a short walk from the Skyline Hotel & Waterpark in the heart of the Niagara Falls tourist district on Falls Avenue Resort with access from the popular Clifton Hill tourist area, Adventure City is a clean, safe interactive play area. 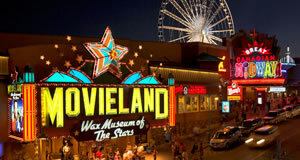 Indoor entertainment includes arcade games, midway games, interactive rides including Tour Bus Swat Team and Traffic Slam bumper cars, glow in the dark mini putt, obstacle course and play house. 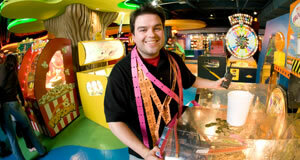 Don’t forget to trade in your tokens and tickets for a range of great prizes after a fun filled day at Adventure City! It’s Always a Sweet Day at Hershey! 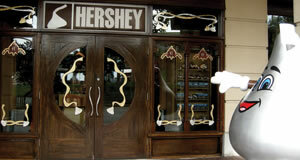 The unique retail attraction feature decadent chocolate treats, exclusive merchandise and more! The only store of its kind in Canada, Hershey’s Chocolate World features 7,000 square feet of chocolate fun – anyone with a sweet tooth will feel right at home. Located on Falls Avenue across from the Falls, guests are drawn to the store by the sweet smell of freshly made fudge, decadent chocolate dipped strawberries, thick and rich chocolate milkshakes and countless chocolate confections. Once inside don’t forget to try a free sample of gourmet Hershey’s fudge, a delectable assortment of custom-made flavours await you. The Always Refreshing Soda Shop will take you back to the 1950’s when you shared a soda with your sweetheart at the local diner. Stop in and enjoy classic floats, milkshakes, ice cream and sodas or browse our large collection of licensed Coca-Cola merchandise and souvenirs. 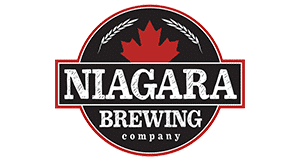 At Niagara Brewing Company we are proud to represent Canada’s brewing heritage and today’s innovative craft beer scene by offering unique beers skillfully weaved with locally sourced ingredients. The World’s only spa to feature treatment areas and a Relaxation Lounge with a view of the majestic Niagara Falls and the only Spa in Canada to offer a Hydrotherapy Infinity Tub, the Christienne Fallsview Spa is one of a kind! Christienne is the only Niagara Falls Spa to carry the GUINOT line of skincare products. A custom created aromatherapy scent, custom blended tea, and a specialty refreshment beverage will enhance your spa experience. Your journey to serenity starts here. Are you ready to be revitalized? Unleash your inner artist! Crock A Doodle has found a home on Falls Avenue Resort. 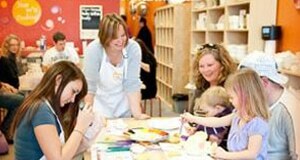 The ready-to-paint pottery studio is all about fun art, not fine art…so anything goes. Painted pieces are glazed and kiln-fired to a brilliant finish which can be used a food safe functional pieces, one-of-a-kind gifts, or a lasting souvenir of your visit to Niagara Falls. Pieces kiln fire overnight to be ready for pick-up the following day – or they can be shipped to your home. 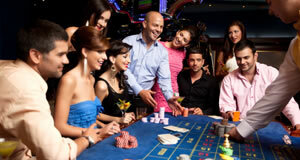 Casino Niagara is your one stop location for an evening of gaming, entertainment and more! Casino Niagara features over 1700 slot machinces, poker tables, blackjack tables, Yuk Yuk’s Comedy Club providing live uncensored comedy every Thursday, Friday & Saturday and a sports section with 30 televisions, off-track betting area, pay per view events and plush seating. Welcome to the street of fun in Niagara Falls. Tourists can find an abundance of attractions, dining options, and more all located on Clifton Hill in the heart of the tourist district. The Niagara Parks is responsible for maintaining the natural beauty of Niagara Falls and the surrounding nature areas. The Niagara Parks commission offers many great attractions that take you close to the Niagara Falls. Among the many attractions are Hornblower Niagara Cruises, Journey Behind the falls, White Water Walk, Whirlpool Aero Car, Niagara Floral Clock and Butterfly Conservatory. Join Master illusionist Greg Frewin, as he entertains you with magic, surprises, and more in his entertaining Las Vegas style review. The Greg Frewin Dinner Theatre is a entertaining night out in Niagara Falls. The Niagara wine region is renowned around the world for providing high quality innovative wines with locally grown grapes. Each year the region celebrates the vineyards, wine and the winemakers at the annual grape and wine festival. Explore more from the comfort of the state-of-the-art WEGO Shuttle System. The new shuttle connects the tourist district with the rest of the City of Niagara Falls so guests can see more of what the city has to offer. 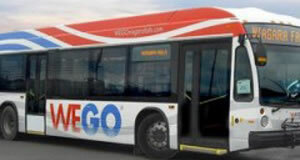 WEGO is fully accessible and operates year-round. 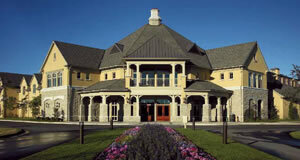 Experience Niagara-on-the-Lake this summer via WEGO. The popular shuttle has been expanded for the summer with shuttles running every 90 minutes from the Floral Clock to Fort George. Shuttles run from 10:15am with the last shuttle departing Fort George at 5:00pm giving guest time to explore or even catch an afternoon performance at Shaw Festival. Tickets are available for purchase at the Floral Clock, Fort George and Niagara-on-the-Lake Chamber of Commerce.